This orchid has been slowly uncurling for the past few weeks. This morning I wandered into the corner of the house where it lives, and was delightfully surprised – it is really lovely and has a sweet, unobnoxious fragrance. Lucky me! 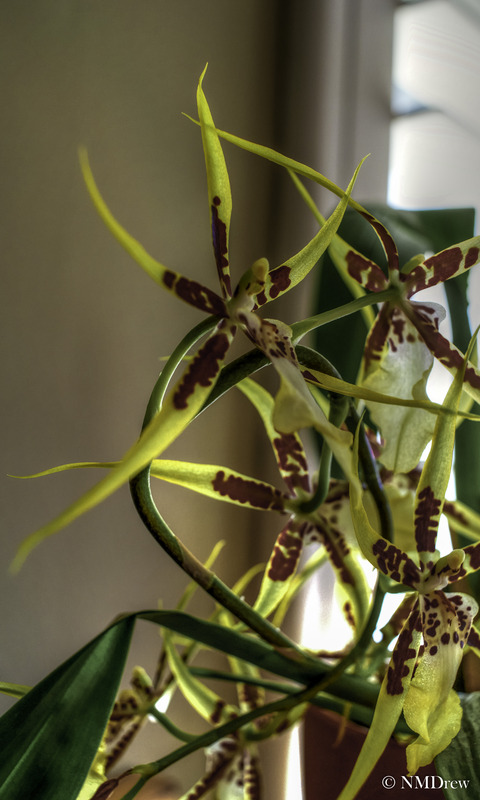 wow, I’ve never seen a spider orchid before, it’s gorgeous. I have some bog standard orchids but I’m inspired now to track one of these down! I got it at Trader Joe’s!